Mark Fleet is an Associate at Griffin Law, having joined the practice in April 2017. Prior to that he spent 18 years at another Kent firm and more recently 4 years as a director of a company based in the City of London. 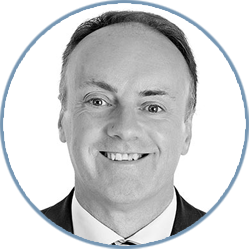 Mark fully appreciates that litigation can be a very stressful environment for all clients, whether corporate or individual, and he therefore prides himself on being somewhat of a calming influence, whilst at the same time remaining focused upon delivering the highest standard of professional service to his clients. In his spare time Mark enjoys a round of golf. He is also a qualified Football Association coach and manages a local adult team for whom he (very occasionally) also plays. More recently, mountain biking has become his chosen form of daily exercise. Mark is a father to 2 teenage boys and enjoys spending time with them whenever they want him to !